This tutorial will show you step by step how to remove the sound from a video in a few different ways using free and paid software. This tutorial works for all kinds of video formats, such as MP4, AVI, MKV, MOV, MPG, MPEG, FLV, WMV, H264, M4V, and other formats. This will permanently remove sound (audio) from a video. Wondershare Filmora is a user-friendly and affordable video editor with a lot of features. You can find Wondershare Filmora here. 2. Click on FULL FEATURE MODE. 3. Click on Import Media Files Here. Or click on IMPORT and choose Import Media Files. 4. Go to the video located on your computer. 7. Right-click on the video and choose Add to Project. Filmora will add the video to the project section located at the bottom. 8. In the project section (located at the bottom), you right-click on the video and choose Audio Detach. Filmora will detach the audio from the video and show the audio as a separate bar under the video bar. 9. 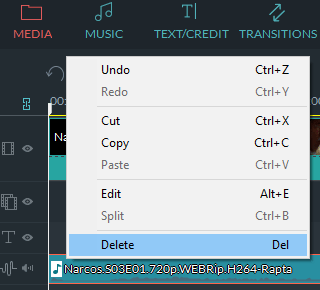 Right-click on the audio bar and choose Delete. 10. Click on Export located in the project toolbar. A Output window will appear. 13. You can change a few settings if you want. 14. Click on the Export button at the bottom right. Wondershare Filmora will now create your video without sound (audio). VLC media player is a free and open-source, portable and cross-platform media player and streaming media server. You can download VLC here (official website). 2. Click on Media (top left) and choose Convert/Save. A Open Media window will appear. 7. Click on the Convert/Save button at the bottom. A Convert window will appear. 8. 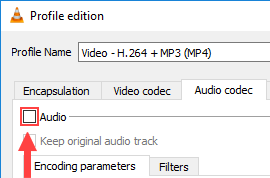 At Profile, you can select the output profile (video and audio codec/format) you want to use. 9. Click on the tools (Edit selected profile) button. 10. At the Encapsulation tab, you can select a video container. 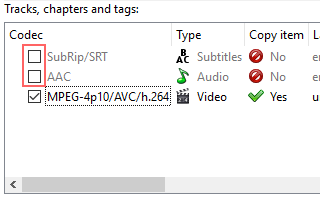 If you have a MP4 video, then you select MP4/MOV, and if you have a MKV video, then you select MKV, etc. 11. Click on the Video Codec tab. 12. Check the Keep original video track option. 13. Click on the Audio codec tab. 14. Uncheck the Audio option. 15. Click on the Save button at the bottom. 16. At Destination, you click on the Browse button. 17. 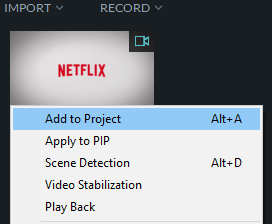 Select a location on your computer where you want to save the new video file. 18. At File name, you enter a name for the new video file. 19. Click on the Save button. 20. Click on the Start button at the bottom. 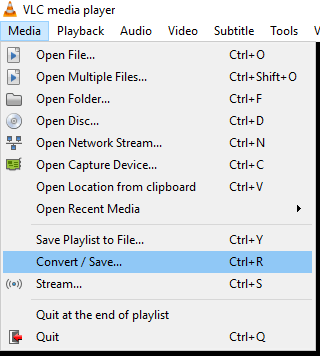 VLC media player will now convert your video without sound (audio). 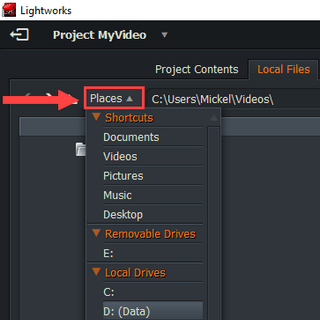 Lightworks is a free professional non-linear video editor with a lot of features. You can download Lightworks here (official website). 2. Click on Create a new project. 3. Enter a name for your project. 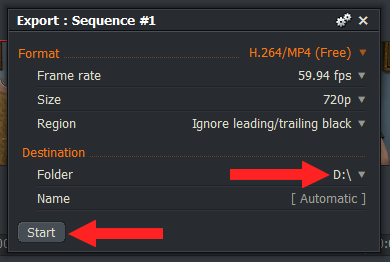 If you don't know the frame rate of your video, then select Auto. 6. Click on Local Files. 8. Go to the location on your computer where the video is. 10. Click on the Import button. 11. Click on Edit (top center). 12. Drag the video from the top section to the bottom section. Now you will see three or more bars. V1 (video) is the video and A1 (video, A1) and A2 (video, A2) is the audio of the video. There may also be A3 (video, A3) and A4 (video, A4). 13. 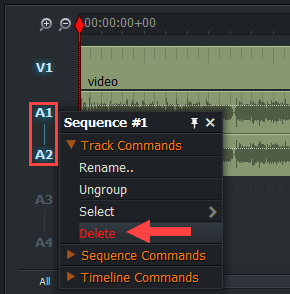 Right-click on A1 - A2 and choose Delete. If you see A3 - A4, then you will need to delete that also. Now you will only have the video left. 14. 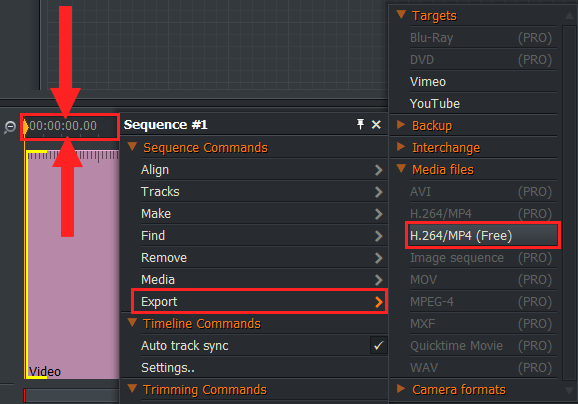 Right-click on the timeline, go to Export and choose H.264/MP4 (Free). A Export window will appear at the top right. 15. At Destination > Folder, you can select the location on your computer where you want to save the video. 16. Click on the Start button. 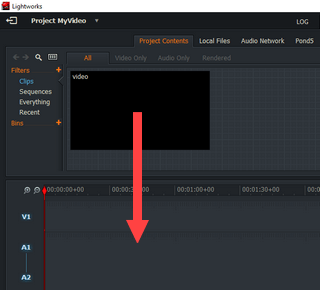 Lightworks will now create your video without sound (audio). Shotcut is a free, open source, cross-platform video editor for Windows, macOS, and Linux. You can download Shotcut here (official website). 2. Click on Open File located at the top left. 3. Go to the video on your computer. Shotcut will open the video and will play the video automatically. You can pause the video by clicking on the pause button located under the video. 6. Click on Export located at the right side of the top menu. A Export options menu will appear. 7. At Format, you select a video format. I would select the same video format as the video format of the original video. 8. Click on the Audio tab. 9. Check the Disable audio option. 10. Click on the Export File button. A Export File window will appear. 11. Select a location on your computer where you want to save the new video file. 12. At File name, you enter a name for the new video file, but with the video format extension at the end (e.g., video.mp4 or video.mkv). 13. Click on the Save button. Shotcut will now create your video without sound (audio). You can view the progress at Jobs located at the top right of Shotcut. MKVToolNix is a handy set of free tools to create, alter, and inspect MKV video files. You can download MKVToolNix here (official website). 2. Click on the + Add source files button at the bottom. 3. Go to the video located on your computer. 6. In the Tracks, chapters and tags section, you uncheck (deselect) the audio track(s). 7. At Destination file located below the Tracks, chapters and tags section, you can view and change the location on your computer where MKVToolNix will save the new MKV video file. 8. Click on the Start multiplexing button at the bottom. 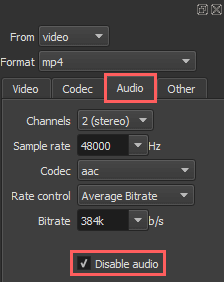 MKVToolNix will now create a new MKV video file without sound (audio). This process is fast because it doesn't convert the video file. 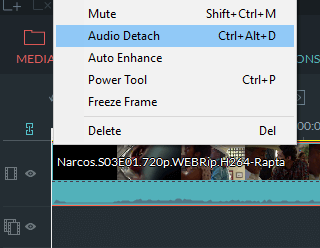 It only creates a new video file without audio.